Juli Seeger and husband Mike recently launched Ruff House, one of the first indoor dog parks in Edina, Minn. The 7,000 square-foot building is filled with toys, a doggie tetherball, white picket fences and an emerald-painted floor and now open for business 24 hours a day, seven days a week. Seeger said the concept came to her out of a need to exercise her four-legged friends, and a dislike for just about every aspect of traditional dog parks. While the business is currently focused on providing a safe play space for dogs, she foresees puppy socialization classes, as well as some one-on-one dog training. In an effort to make clients feel safe bringing their dogs to the park any time of the day, Seeger said they installed a coffee station. The Ruff House will be hosting a grand opening party to welcome locals to get a taste of the indoor dog park. The festivities will run from noon to 7 p.m. on Aug. 12. 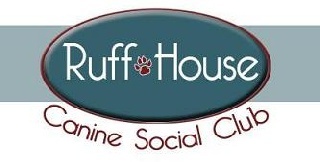 For more information go to www.ruffhousemn.com.